The new school year brought more than just new freshmen to Penn Manor High School. The high school employed five new teachers for the fall semester of the 2016-2017 school year, some being full-time positions. These teachers include Mr. Ben Schober, Mr. Joshua Barben, Mr. Shawn Lassiter, Mrs. Lindsay Feger and Ms. Courtney Heiser. Mr. Schober was hired to teach sports medicine and ninth grade health and physical education in place of Mrs. Kramer for the fall semester. He enjoys the other educators of the physical education department. “I’m very grateful to have such a supportive team of educators around me in the phys ed department,” said Mr. Schober, who has been subbing and coaching at Penn Manor for the past few years. This is Mr. Schober’s second long-term substitute position; he was previously employed as a phys ed teacher in spring 2015 at Carter & Macrae Elementary in the School District of Lancaster. 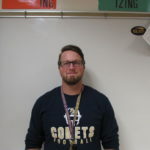 He also coaches the Penn Manor track and field team, coming up on his fifth year, and is in the middle of his second year of coaching the football team. In his free time, Mr. Schober likes to stay active and go outside for hikes, climbing his first two mountains this past summer. The Baltimore Ravens are his favorite football team, and he also likes the Boston Red Sox, Celtics and Bruins for baseball, basketball and hockey. Ms. Heiser is now teaching Intro to algebra A and Intro to algebra C in the high school. 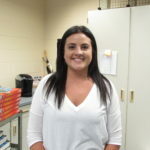 Ms. Heiser was notified about the opening of the teaching position here at Penn Manor by her former principal after long-term subbing at Lampeter-Strasburg last year. This is her third teaching job after teaching in York City for a year and at Lampeter-Strasburg. Penn Manor has been helpful to Ms. Heiser so far. 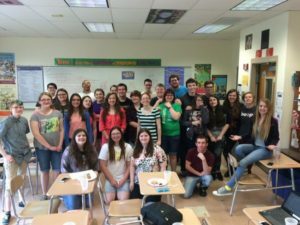 “I enjoy how the math department at Penn Manor is big on working collaboratively, and I have found it very helpful,” she said. 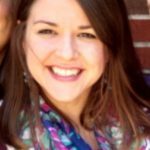 When she is not teaching, Ms. Heiser enjoys reading, shopping, and spending time with friends and family. Her favorite sports to watch are football and baseball, especially the Philadelphia Eagles and the Baltimore Orioles. Mrs. Feger teaches English full-time and was notified of this job opportunity when her husband, math teacher Mr. Feger, told her about the open position. She had to teach a lesson to a group of tenth graders as part of her interview before she got the job. “Interviewing at Penn Manor is no joke,” Mrs. Feger said. This is her second full-time teaching job, previously teaching at the district of Annville-Cleona. 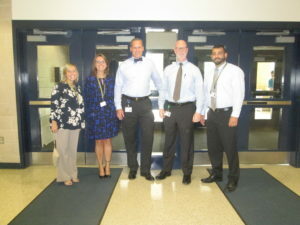 The welcoming environment of Penn Manor is what stands out to Mrs. Feger, as well the 1:1 student laptop program, which she said has made her teaching better. Mrs. Feger loves to read, travel and spend time with family and friends in her free time. She likes to watch all sports, but currently watches golf the most. Her favorite teams include the Philadelphia Eagles, Baltimore Ravens and the Boston Red Sox. Two additional teachers joined the Penn Manor staff this year. Mr. Barben teaches history and Mr. Lassiter teaches music. Almost 40 people were crammed into the library’s Distance Learning Lab this Wednesday during the first meeting of the Anime and Manga club. Passions were high as people finally had a chance to meet with people who shared their interests in Japanese art and animation. English teacher Mr. Scott Hertzog and senior Abigail Purdin founded the club explore Asian culture through anime and manga. During club meetings, students will discuss and watch anime and connect themes from them to Asian philosophy. Mr. Hertzog wanted to make the club after he ran into “fans of anime who didn’t really have a place to connect.” Mr. Hertzog gained an interest in anime when he and his daughter started watching it several years ago. Purdin has also had a strong connection with anime for the majority of her life. “Ever since I was a little kid, my dad watched it all the time,” said Purdin. Mr. Hertzog stressed that the club is meant to be a safe place for people to discuss their personal taste in anime or manga without harassment. The first meeting consisted of a meet and greet involving people writing down their favorite anime and manga as well as what they expect from the club. The club will continue to meet on Wednesdays throughout the school year. 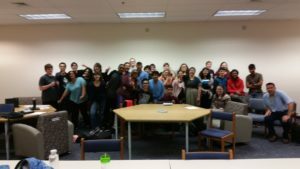 A popular club is no longer meeting, which to some students might come as a shock since Creative Writing Club has been a success since it started. Due to her responsibilities as class advisor for the class of 2018, English teacher Mrs. Lisa Mayo has decided not to run the club for the next two years. Mrs. Mayo started the club in Fall 2011, and she has every intent of bringing the club back. “I’m very sad. I’m going to miss that time with talented students, but I have to think of my own sanity,” said Mrs. Mayo. She hopes kids will keep writing and posting on Penn Manor Expressions. The weather at Comet Field couldn’t have been more perfect for the Comets home opener against the Spring Grove Rockets on Thursday, March 24. The Comets opening day starting pitcher was junior Jeff Taylor, and rivaling him on the mound was Spring Grove pitcher Matt Brooks. After allowing a leadoff single, which was one of the two hits the Rockets had all day, Taylor settled in. The first out of the inning came from a sacrifice bunt that moved the runner to second. Remaining calm, Taylor kept his composure and went on to strike out the next two batters to end the first inning. Penn Manor scored the first run of the game in the second inning. 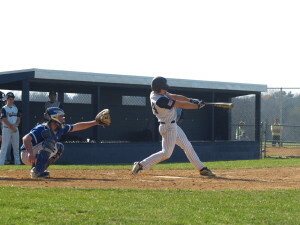 Senior catcher Eric Snyder reached first base safely due to a dropped third strike. Junior Connor Bitts replaced Snyder as a courtesy runner, and used his speed to make it all the way home due to a few pitches that got past the Spring Grove catcher. The second inning continued with senior Dan Wolf drawing a walk to first, and then scored by a single from senior Nate Brown, making it 2-0 for the home team. Taylor, helping his own cause, added another run, but was then caught in a run down that ended the second inning. The Comets took a 3-0 at the end of the second inning. Spring Grove wasn’t able to get much done with the bats all throughout the day. Taylor struck out the first two batters of the third inning, and then got the third to ground out to the shortstop. The Comets then made the score 4-0, with senior Collin Whiteside scoring on a ground ball hit by senior shortstop Nate McFarland. The Rockets were able to manage their second hit of the game in the fourth inning, but were unable to do anything with it. The Comets tacked on their fifth run of the night thanks to a hard-hit single up the middle off Whiteside’s bat. Taylor pitched six innings. Senior Jeremy Miller came in for the seventh inning to close the door and secure the first win of the season for the Comets. Taylor had a strong outing, recording 10 strikeouts and only allowing one walk. He was also backed by a solid defensive effort. At the plate, both Brown and Whiteside had solid nights. Brown went three for four with a batting average of .750 and scored a run. Whiteside also went three for four with a batting average of .750 and also drove in a key RBI in the fourth inning. The Comets’ second game of the season was on a cold, windy day on Monday, March 28 at Comet Field against the Lebanon Cedars. On the mound for the Comets was senior Jacob Herr, and he was consistent all day for the Comets, starting off the game by striking out the first three batters. However, Herr did face a bit of adversity in the second inning. He was able to get the first batter of the second inning to ground out to second and got the following batter to strikeout. He then hit both of the next two batters, giving the Cedars an early scoring opportunity. But Herr battled back and struck out the last batter of the inning. Offense was hard to come by as the weather really played into the struggles for both teams’ bats. The Comets were able to score the only run of the game in the third inning. Whiteside started the inning off by drawing a walk, followed up by junior Grant Gale who drew a walk of his own. McFarland dropped down a key sacrifice bunt that moved the runners into scoring position. Following McFarland, junior Jeremy Burkholder was able to hit a ground ball to the right side of the infield that scored the runner and put the Comets up by a score of 1-0. One run was all the Herr and the Comets were going to need. 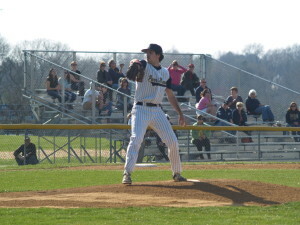 Herr threw a complete game shutout and recorded 12 strikeouts. The Comets’ pitching staff maintains a 0.00 ERA over their first two games of the season. Brown once again had a strong day at the plate, going two for three and stealing a base. The Comets’ next game will be away at Wilson on Wednesday, March 30, and they will return to Comet Field on Friday, April 1 to play host to Dallastown. 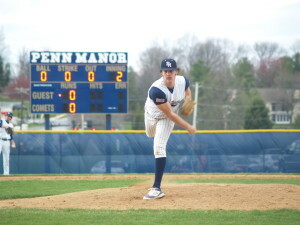 Players on the Penn Manor baseball team have spent all winter working hard, whether it was lifting weights at 6 a.m. or fine tuning their skills in a gym. But, now that spring has finally come, the Penn Manor baseball team is able to start their normal practices. With strong pitching and exceptional defense all around the diamond, the Comets have the right parts in order to achieve their goal of a deep play-off run. This year’s team is a seasoned varsity squad, with all of the players being juniors and seniors who played together last year. This gives the Comets a big advantage that not all teams in the Lancaster-Lebanon league have. Having made the playoffs last year, the Comets are able to take what they learned from last year and implement that into what they need to do this year to be even more successful. The mindset around the team before the first official pitch of the season is that this team is capable to make a serious play-off run, and both the players and the coaches have bought into this mindset. Pitching is an essential part of the game, and good pitching can keep you in a lot of games; pitching is also an asset for the Comets. The Comets have one of the strongest pitching rotations in the LL league. Junior Jeff Taylor, who has committed to Penn State University to play baseball, leads the Comets, followed by seniors Jacob Herr and Collin Whiteside. Beyond these three, the Comets are supplied with a calvary of relief pitchers. Seniors Jeremy Miller and Justin Henson and juniors Grant Gale, Matt Tulli and Garrett Fry all make up the relief staff. When asked about what the biggest strength of this years team is, senior pitcher Herr, who has committed to play baseball at the University of California Pennsylvania, also shares his coach’s enthusiasm with the pitching staff. “Our whole pitching staff has returned from last year, which is a huge advantage for us.” Herr said. Defensive play is also an essential part of baseball, and the Comets are strong in this aspect as well. Seniors Nate Brown and Nate McFarland make up the middle of the infield, playing second base and shortstop, respectively. These two have played next to each other since freshmen year, so they know how the other operates. The outfield is full of speed, which makes running down fly balls an almost non-issue. Speed also comes into play on the basepaths. If the Comets are able to get on base, look for them to use their speed and steal bases. The Comets ability to steal bases, along with their solid defense and their exceptional pitching makes for a well rounded team that will be tough to beat. “I believe we all agree that if we continue to get better everyday that we have an opportunity to play late into May,” Zander said. When asked what his fellow pitchers and teammates mean to him, Jacob Herr said, “The bond we have with our staff resembles a family. I’m there for my brothers and they are there for me. Our bond is just another tool that we have to bring to the field to help us succeed. Mentally, we are all comfortable and confident with each other in any situation. The Comets season kicks off at Comet Field this Thursday, March 24, at 4:15 p.m.. against Spring Grove. Penn Manor High School was built in 1958, and renovations could start as early as summer of 2019. The most recent renovations were completed in 1996. The Penn Manor administration is currently discussing options for the proposed renovations. There are a number of systems in the current building that need to be updated. “[We need] to reinforce steel support. The bathrooms have the original floors from 1958. The toilet fixtures are the original ones also from 1958. The pipes are also leaking. In the cafeteria the chillers and transfers need refurbished which would take a renovation to do,” said district superintendent Dr. Michael G. Leichliter. Many students will be familiar with the hot and cold temperatures throughout the building. The old systems mean that administrators don’t have the most up-to-date options for heating and cooling. “It was cold in the morning and warmer in the afternoon with these old motors either run at 100% or 0. But current technology is that you could run these at 40%,” said Dr. Leichliter. The administration is also considering any additional problems that might lie ahead. “We have many systems in the current building that are failing or starting to fail. And obviously when you do something this size you need to be ahead of the curve of what could be failing in the coming years,” said the business manager Chris Johnston. Another issue to be addressed is the student and staff driving situations. There are four construction plans ranging from $52 to $96 million. There are informational meeting being held to finalize the decisions. The first option would be to just do the bare minimum like updating only the building systems, such as plumbing. It’s the least expensive option, at $52 million. Option two is an $80 million plan to renovate 220,000 square feet of the building, which would expand the building horizontally. A new level of the parking deck would be added on also. Option three would be expanding the building vertically. This plan includes a shorter, wider hallway with classrooms branched off of it and would cost about $87 million. “Option 3 is basically building a new high school on the (same) site,” Dr. Leichliter told LancasterOnline. The fourth option would be the most expensive option, which would be to build a new high school at the Hambright Elementary/ Manor Middle campus in Manor Township. This option would cost $96 million, and would likely require reconstruction of surrounding roads and intersections at the new location. The reconstruction plans are meant to address the amount of time that students spend in the hallways and provide additional options for scheduling. “With the reconstruction it would reduce the time spent in the hallways, and not all students would have to be on a block schedule. Some students might be on a block schedule, and some might have traditional periods. We could have a mix of both, because not all students do well in 90 minute block classes,” said Dr. Leichliter. The debt for this project, regardless of which option is chosen, will last the next 22 to 27 years. On June 1, the board will be continuing to discuss all of the options. By July 1, the board members plan to select an option and submit to the Pennsylvania Department of Education. The initial blast of energy walking into Penn Manor’s game on Jan 15 was exhilarating. With everyone standing on both sides of the court cheering, the JV game was tied in overtime. Penn Manor’s JV team would go on to lose the game by a thrilling two points. Little did everyone know that the varsity game would result in a white knuckle over-time finish as well. The Comets played differently in this game compared to games in the past. You could see in Penn Manor’s starter’s faces that they were hungry for a well-deserved win. The starters for PM were senior Ellie Barley, senior Ally Rowe, sophomore Alyssa Schriver, sophomore Sheyla Greggs and sophomore Danielle Heisey. Taking the court, the Comets came to do one thing — win. Starting the game off, Penn Manor scored early and rapidly, leading over the Buckskins. Turning the page, Conestoga Valley freshman Amber High shut down the Comet’s scoring drive with back-to-back three point shots. High racked up a season high total of 22 points. Those 22 points were not enough to stop the Comets though. As time dwindled, the Comets were cutting the deficit. 10, 7, 5, etc. Schriver’s shot stayed hot the whole night but especially at the end of the game and in halftime when PM needed it. Before long, the Lady Comets brought back the score to 53-53. Nobody scored, forcing the game to go into overtime. With her total points already in the 30s, Schriver turned on the back burners to lead the Comets through the extra time. As the Buckskins kept fouling Schriver, she kept sinking her foul shots, which put PM slightly over CV little by little. CV also missed several crucial foul shots in the end of overtime, which helped the Comets sneak ahead. Schriver racked up four three-pointers in the game. Eight of the points were from foul shots. She was the first PA Mid-State player with a 40-point game so far this season. Schriver is the leading scorer of the Lady Comets and is averaging 24.3 points a game with a total of eight three pointers in her last four games. 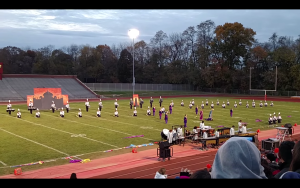 As the time ticked down and Penn Manor families got louder and louder, the Comets pulled further ahead. With a final score of 64-59, the Comets won arguably the most adrenaline-filled game they have played so far this season. The Penn Manor Comets host the Warwick Warriors at 7:30 p.m. tonight at Penn Manor High School. The Comets beat the Warriors the last time the two teams faced off.